©Barry Sandland /TIMB – Transit strikes bring out the two wheeled options. The website launched today and, as an omen, Belgium had a national rail strike. There will be more in the coming weeks – but the cold, wet weather has managed to keep bikes to a minimum. Regardless, there will be plenty of bikes for the site. This Is My Bike is about people and their bikes. As the site progresses, we hope to bring you more and more stories, short vignettes, on cyclists and their rides, and get some sense of why they are on two wheels. 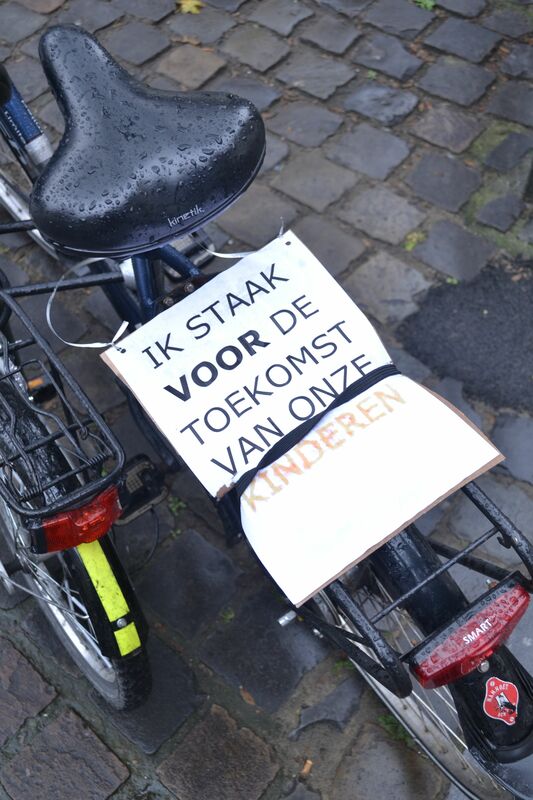 Students, commuters, parents and the kids, families – stories about them and their bikes. Hopefully you will find it entertaining.